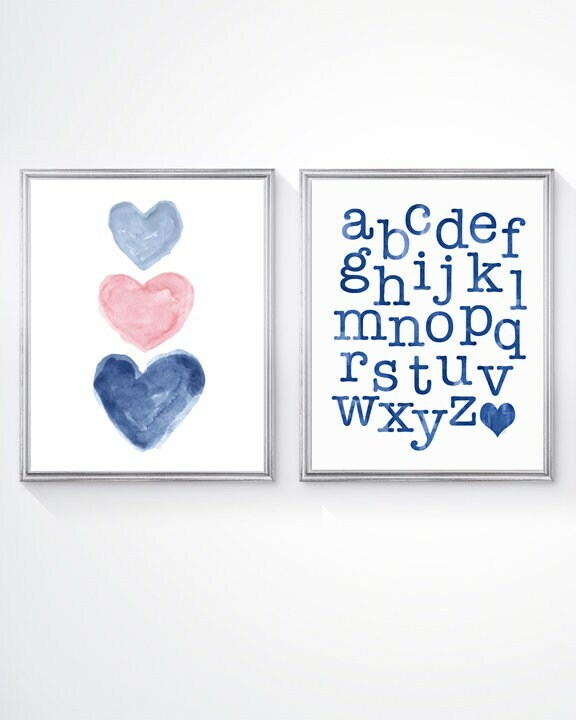 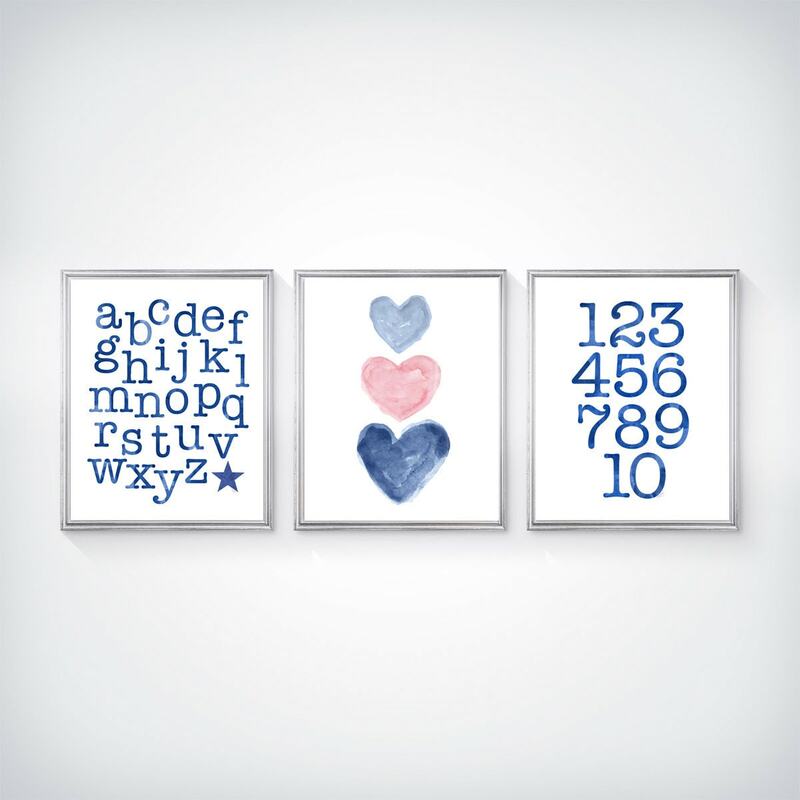 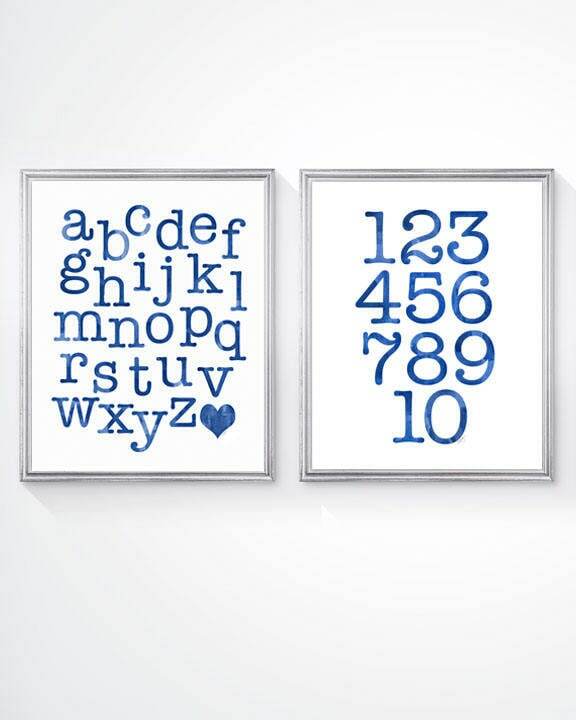 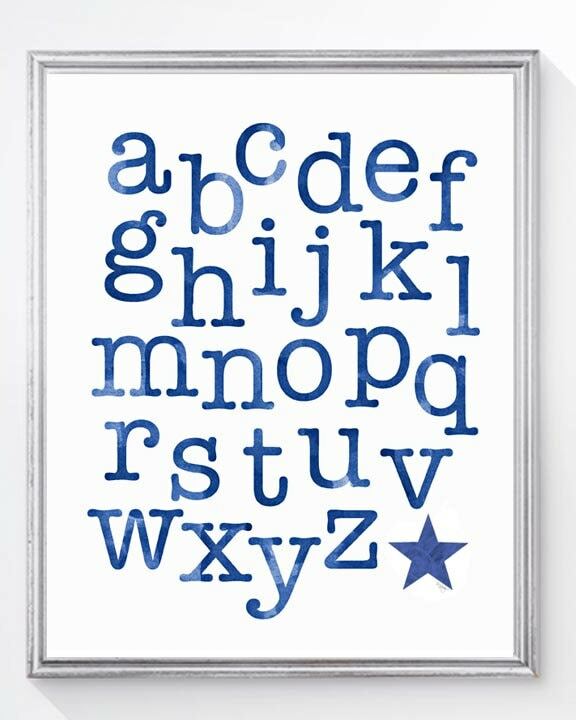 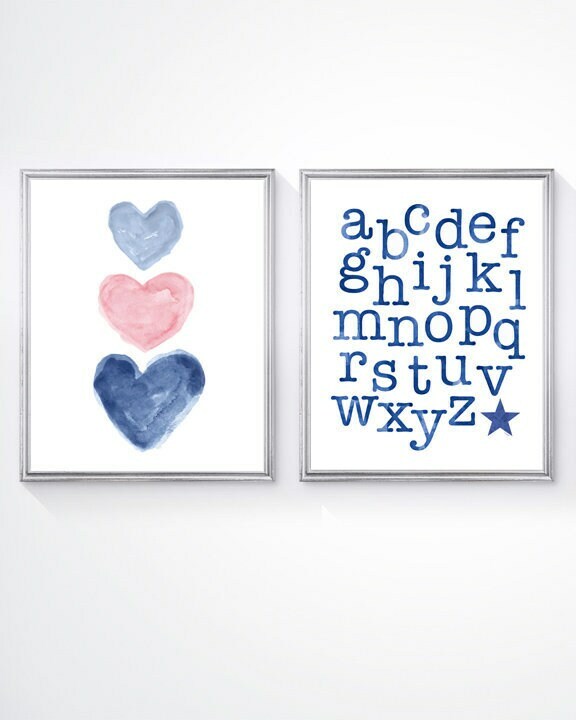 A sweet trio of pink and navy hearts coordinating with a navy ABC and 123 art print perfect for a kids space. 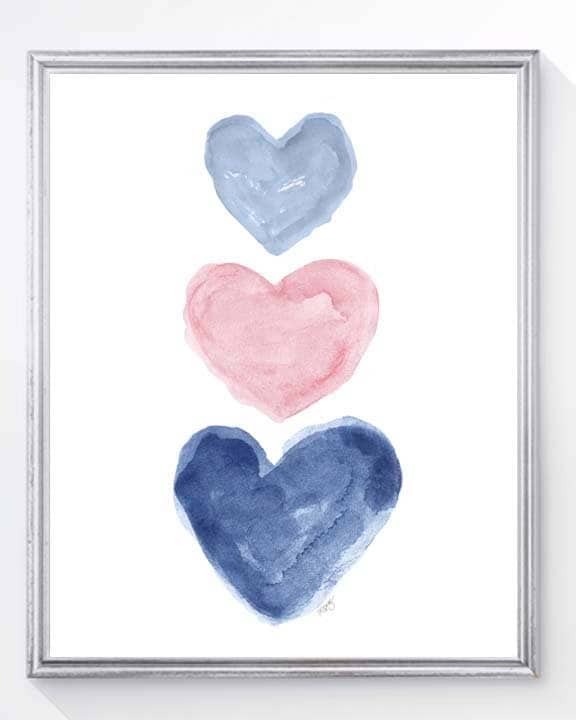 Each print is recreated from my original watercolor paintings. 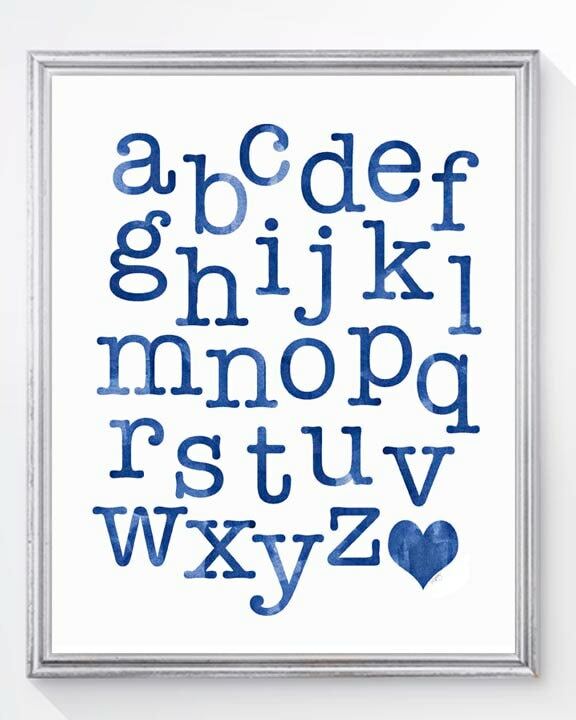 A sweet way to learn! 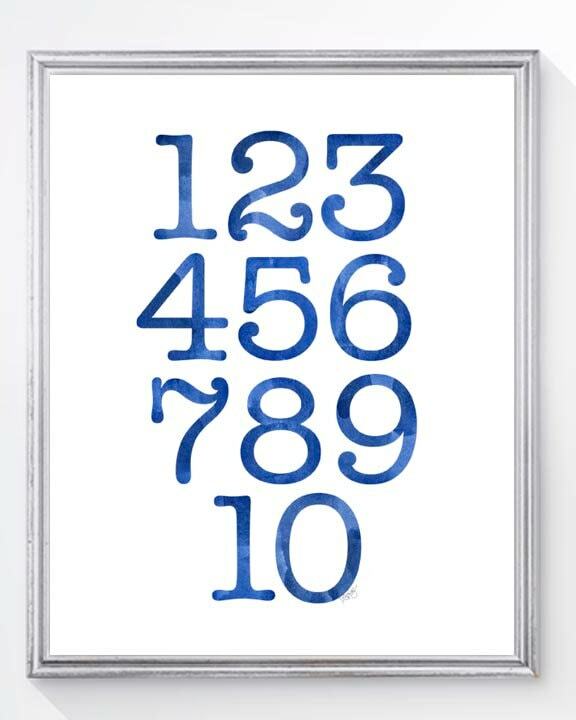 Available as single prints as well.